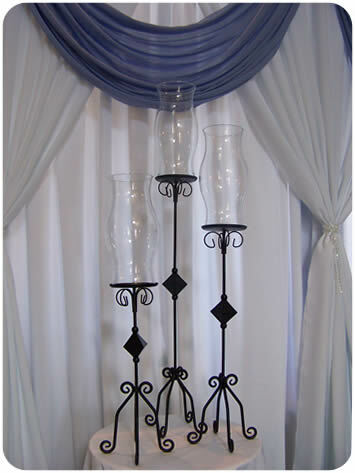 These tall black candle holders look very elegant in halls. Pair these centerpieces with the "Nicoles" in the black maestro vases for a truly "put together" look. 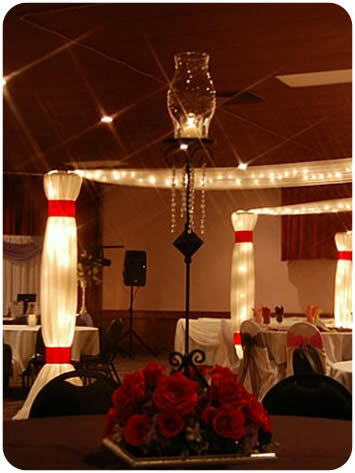 Check out our matching black arch, gazebo, candelabra, and pedestals!